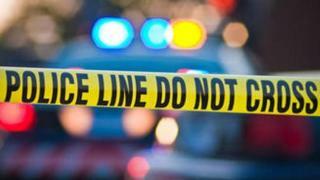 A 30-year-old man died at work in Fremont Wednesday evening when he was pinned between a tractor trailer and a loading dock while helping the driver back into place, according to police. Emergency crews responded to a business in the 5900 block of Stewart Avenue just before 8 p.m. on report of a collision between a tractor trailer and a pedestrian. Investigators say the man was standing behind the tractor trailer, guiding the driver towards the loading dock when he was pinned in place. The driver backed all the way in and unhooked the trailer from the tractor. He found the victim, unresponsive, 15 minutes later. The driver moved the trailer, but the victim was pronounced dead at the scene. He's been identified by the Alameda County coroner's bureau as Fremont resident Travis Michael St. Amant. Drugs and alcohol were not factors in the incident, according to police.